Almost everyone in the world agrees that mosquitos are terrible. They aren’t just pests that leave itchy bug bites, they also carry the chance of being infected with malaria. Current traps and zappers have existed for awhile, but they also kill many good bugs. Instead, Seattle-based Intellectual Ventures Lab have created the Photonic Fence, a device that will only kill the pests. The Photonic Fence uses cameras and other optics to scan for pests within 100 meters of the device. Bugs are identified by a combination of shape, velocity, acceleration, and wing-beat frequency. Once the machine determines that a bug is a pest, it shoots out a laser, killing the insect within 25 milliseconds. The company states that the Fence can kill up to 20 insects per second, covering an area up to 30 meters wide and 3 meters high. According to The Wall Street Journal, development began during a brainstorming session in 2007. Just one year later, the team had already killed its first mosquito using a handheld laser. The project began as a way to combat the millions of malaria cases worldwide and the hundreds of thousands of malaria deaths. Existing drugs, insecticides, and bed nets have curbed the spread and kept the epidemic in check, but conquering the disease requires more. IV Lab’s approach is to break the malaria transmission cycle at its source. By training a laser to identify the discriminating characteristics of a mosquito. The Photonic Fence delivers enough photonic energy to kill or incapacitate the mosquito before it reaches the age where it can infect a healthy host. The result is a new way to control the mosquito population without affecting the local ecology such as butterflies and bumblebees. 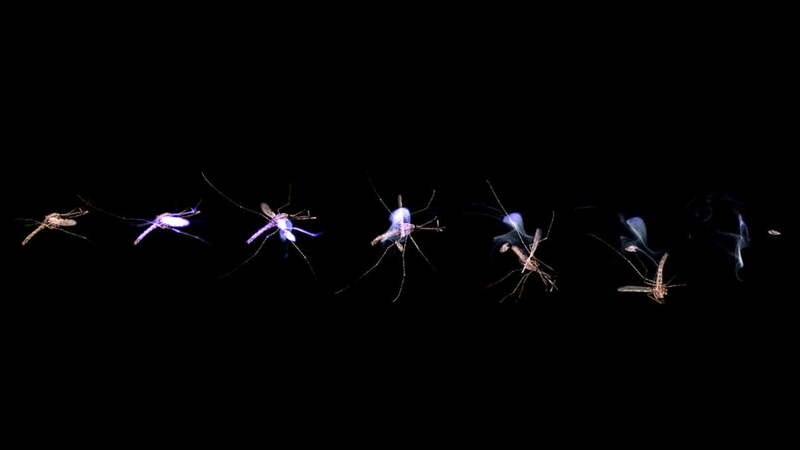 It can even determine the difference between male and female mosquitoes since only the females bite humans. Testing began this summer in Florida inside a screened house full of mosquitoes. If this test proves successful, the device will be used on one wall of the house to fight against wild mosquitoes. According to Technology Review, IT Lab hopes to have a model with a longer, 100-meter range by next year. Zapping mosquitoes with lasers isn’t the only solution scientists have come up with. Others have found success in bright light pulses or even turning them all into males. Global Good wants to rid the world of deadly diseases with lasers and A.I.